The budget presented by the government last week was the best financial package in Malta's history which saw the government give 1.3% of its economy back to the Maltese people, Prime Minister Joseph Muscat said on Tuesday. The budget, he said, represented a progressive way of doing politics – creating and distributing wealth fairly. This success, Muscat argued, would not have been possible without a turnaround of Enemalta, Air Malta and the health sector, which had previously exhibited frailty. It was for this reason, he said, that Malta’s economy had grown three times more than the European average. On Monday, Opposition Leader Adrian Delia said that he had met a number of individuals who were forced to close down their businesses because they couldn’t make ends meet. 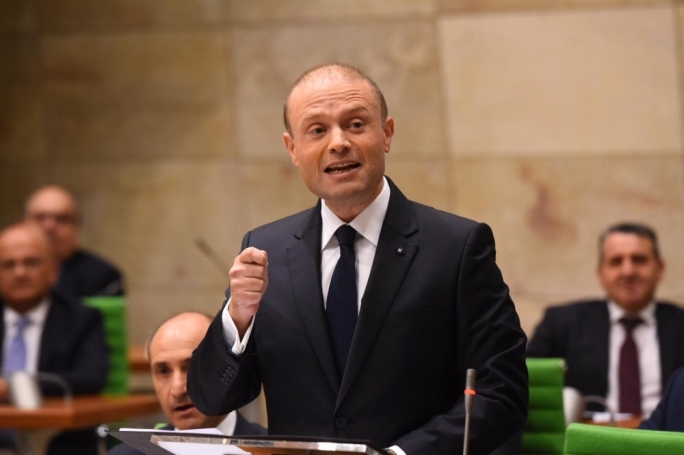 Responding to Delia’s criticism, that most people could no longer afford a new home and that the rate of home-owners was decreasing, Muscat said that in 2008 the rate of home-owners was at 76% but at present it was lurching close to 80%. Muscat said the European state with the largest increase in population was Luxembourg, which saw its economy increase by 17% since 2013, but Malta’s economy had increased by 40% during the same period. Turning to immigration, Muscat accused Delia of using far-right rhetoric and racist undertones. The Opposition, he said, was using anti-business rhetoric, but to the government, he said, there is no difference between being pro-business and pro-worker. He questioned what Delia meant by 'intelligent immigration'. "Does he only want rich immigrants? Then why come out against the IIP?" 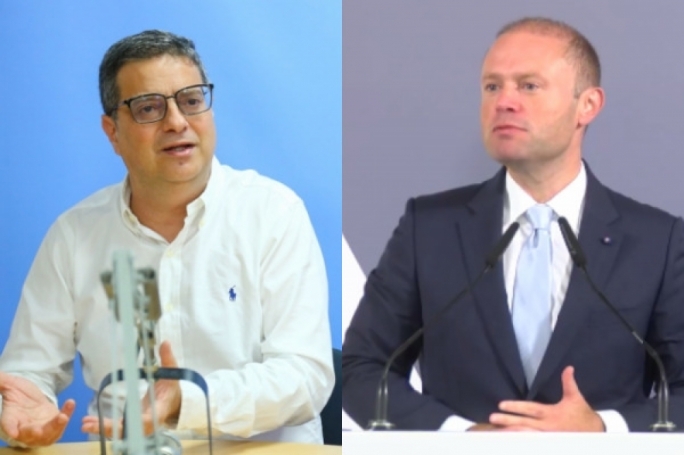 Muscat said that ultimately he was talking about a situation that had seen the country go from the largest deficit in Maltese history in 2012 to the largest surplus in Maltese history. The National Development fund, he said, had become of the 50 largest sovereign funds in the world. The economy, he said, was depending less on public spending and more on private investment, with the national debt accumulated over the last three legislatures having been paid off since 2013. 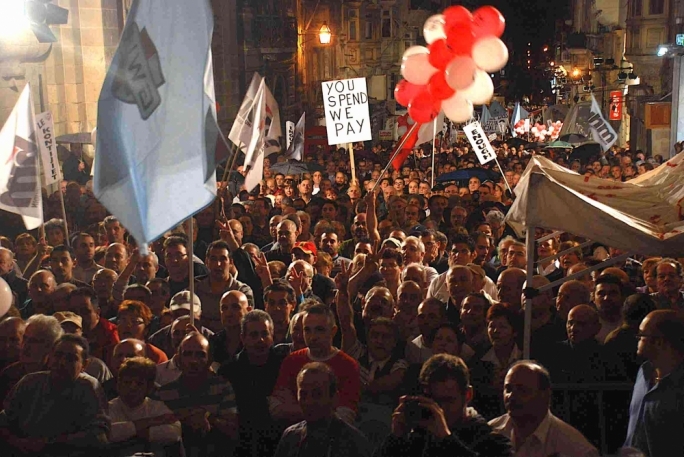 He dismissed arguments by the Opposition that Malta’s debt was increasing, insisting that even Form 3 economics students knew that a debt burden needed to be measured in relation of one’s income. Since 2012, he said Malta had gone from having below average employment levels, to one where employment figures were above the European average. “This is not only a government that works, but it is the government for work. The natural home for all Maltese and Gozitan citizens,” Muscat charged. Muscat said the government was making an unprecedented level of investment in infrastructure, as it had done on education. Pensioners and those requiring medicine from the national healthcare service had also seen the benefits of the government’s increased investment, he said. Investment in Gozo was 65% higher this year than it was last year, while investment in the environment and social services had similarly increased, Muscat continued. Muscat continued to run through measures enacted by his administration, including renegotiating the cost of school uniforms, removing fees on public exams, removing income tax on a minimum wage salary, introducing a mechanism for the wage of those on the minimum wage to increase every year and reducing the price of over 200 medicines. The government, he insisted, could not control the market to help keep the cost of living down, but it could intervene, as it was doing. Muscat suggested it was time for the country to discuss the possibility of introducing an obligation for workers to be part of a union, and to similarly oblige all companies to form part of a chamber of commerce of some sort. This, he said, would ensure bargaining power for employees and more regulation for businesses, while also contributing to the country continuing to raise its standards. On home ownership, he said that while families with children who were home owners had decreased under the PN, the figure had increased by nearly 11,000 since 2013. He acknowledged that increase in property prices had brought about a number of problems, but these were also being addressed by the government. The white paper recently published by the government was the first serious attempt at regulating rents in a generation, with Muscat insisting he hoped the Opposition would contribute constructively to the discussion. Muscat said that the 2019 budget was also inclusive of a vision for future investments. "Though Delia smirks at the thought of a robotic industry," he said, "there are practical applications of this." He revealed that robotics would be used as soon as next year in assisting doctors and nurses during operations and surgeries. The sport industry was also in need of careful scrutiny. Muscat argued that spending on sport was still seen as an end in itself. "We improve the ground for the sake of improving a pitch," he said. "Going forward, we are going to make sure that what we're spending on this industry will be for the sake of the improvement of sport." With regards to housing, 1000 new units were promised to people in need and these were in the process of being finalised. 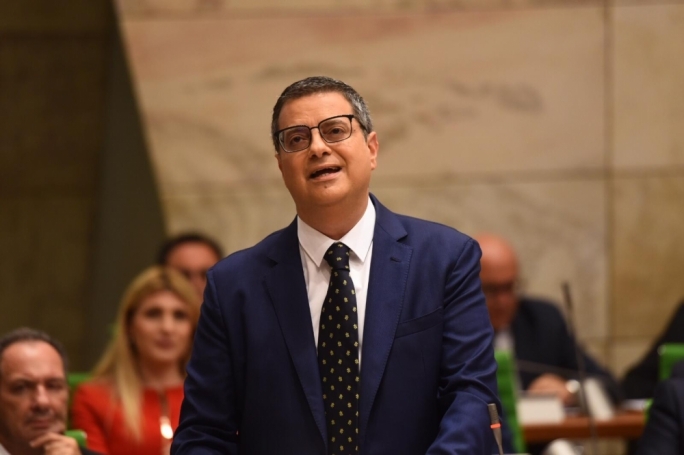 Adrian Delia responded to the Prime Minister's two-hour speech by saying that despite the rhetoric, it still evoked a government without a long-term vision. Details on sectors like the environment, infrastructure and education were still not brought to light, he said. He condemned the Prime Minister for "fictitious statistics" which he said did not reflect today's reality. "Treats for the boys," he said, "and tricks for the people."